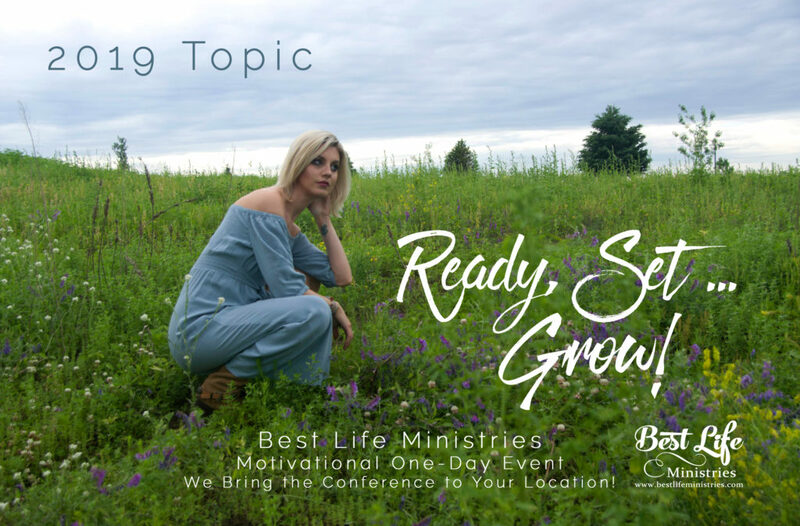 2019 Conference Topic Ready, Set, Grow! 2019’s TOPIC: Ready, Set, Grow! Best Life uses worship, prayer, and motivational workshops to help encourage attendees to grow in their faith, relationships, and trials, as they find God’s help through the changes. When we seek Jesus and His Word for wisdom and advice, we learn that He is always with us amidst life’s journey. He helps us grow and change to become our best. Experience an event with Best Life’s staff and be encouraged to grow in your faith, cultivate good relationships, and bloom in the life that God wants you to live … your best life!